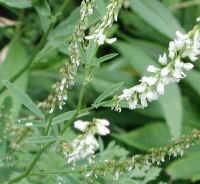 (Clover, White Sweet (Melilotus alba) - 01) White sweet clover, a member of the Pea family (Leguminosae), can grow to a height of eight feet. Most of the ones we have seen are less than four feet in height. 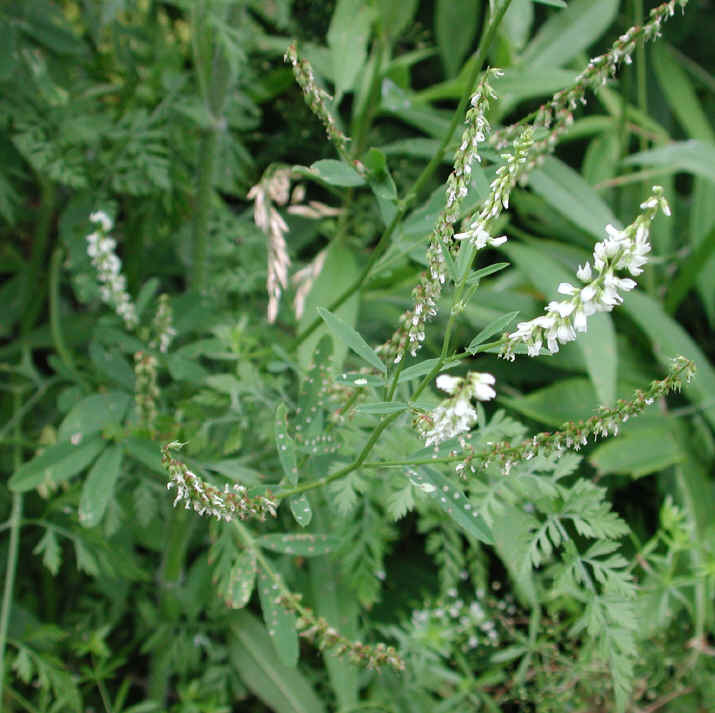 To simplify identification of the white sweet clover, we look for these two features: the pinnate leaves with three oval shaped, finely toothed leaflets, and the white flowered, long narrow racemes that arise from leaf axils.